The debut film from Hayao Miyazaki, Nausicaä of the Valley of the Wind is considered by many to be his masterwork — and there are few films, animated or otherwise, of such sweeping scope and grandeur. 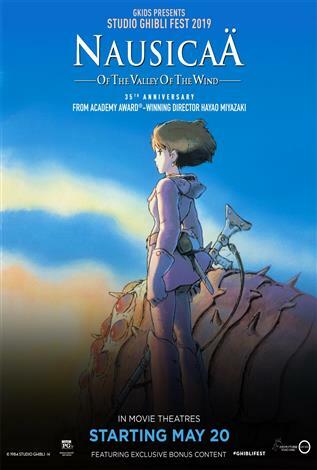 Set in a devastated future world decimated by atmospheric poisons and swarming with gigantic insects, Nausicaä is the story of a young princess, both brave and innocent, whose love for all living things and passionate determination to understand the processes of nature lead her into terrible danger, sacrifice, and eventual triumph. English subtitles.